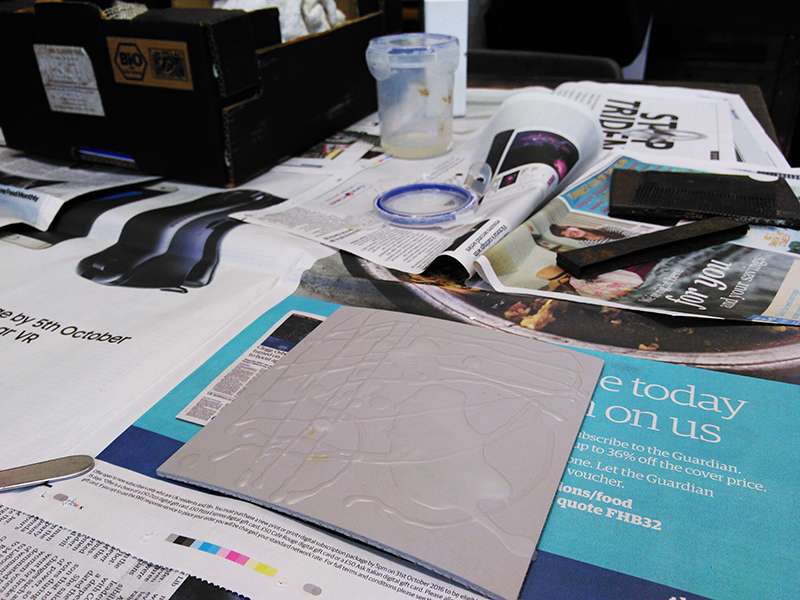 To celebrate Print Day in May, WYPW ran a open day event at their workshop. The whole building was buzzing with different print activities and a pop-up cafe with cake in the gallery. As a member, I got involved by running a drop-in lino printing workshop with ready made etched lino blocks. Family's could put a pinny on, ink up some blocks and have a go at using the big imperial press to create their own prints. WYPW is a registered charity, gaining funding from Art Council England and by running printmaking courses. Open day events help raise donation to improve their facilities and keep the workshop open. From all the activities people got involved in throughout the day, WYPW managed to raise £200! This was the first time I ran a drop-in workshop relating to my own work and I couldn't have asked for a better day. Perfect weather, lots of lovely people to meet and of course the cake. I got the chance to do a demo of my printmaking recently at WYPW (West Yorkshire Print Workshop). Here is a lovely write up by Kate Desforges the technician and course coordinator at the workshop.